SKU: chichen-itza-and-valladolid-xichen-1. Categories: Tour Packages. 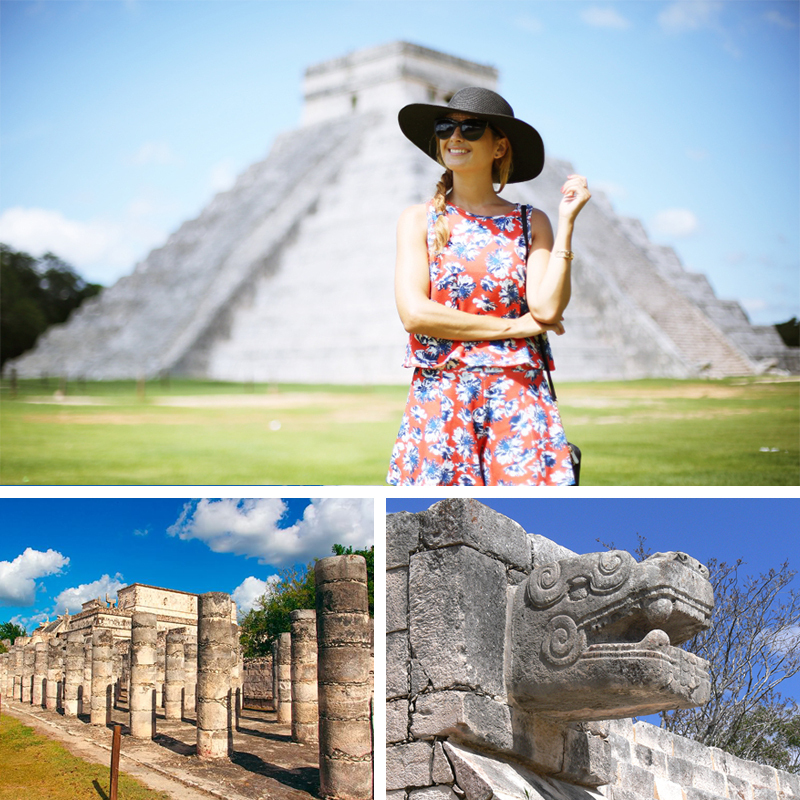 This is a fascinating tour to the sacred city of the Mayan Empire Chichen Itza, that combines culture and a city tour to the colonial City of Vallodolid which is located in the Yucatan Peninsula. 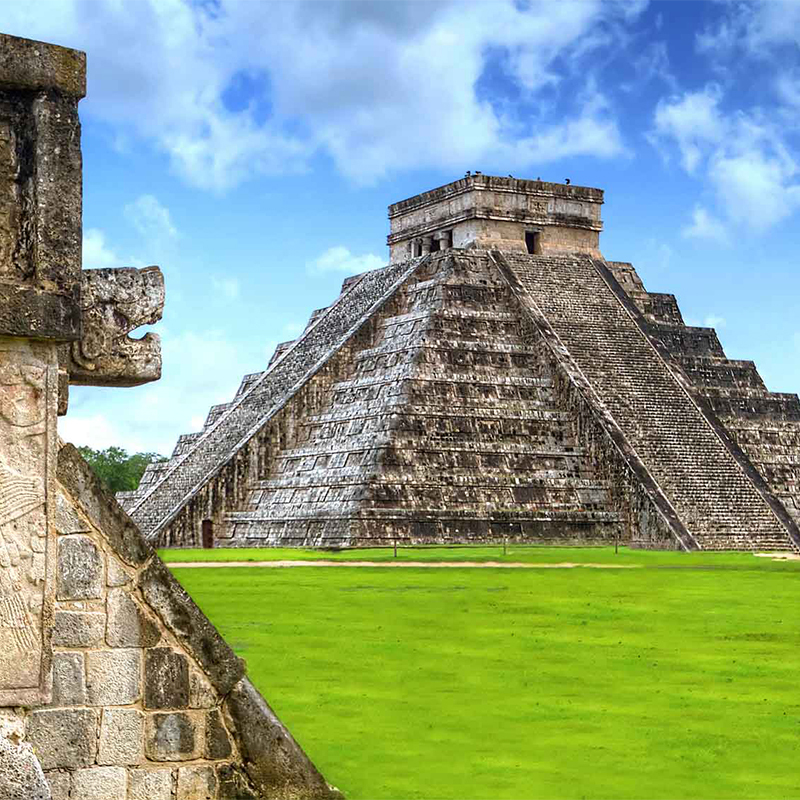 This Unesco world heritage archeological site, has been recently renowned as one of the new wonders of the world, and the professional tour guides will take you for a guided tour among these amazing buildings full of history and culture . 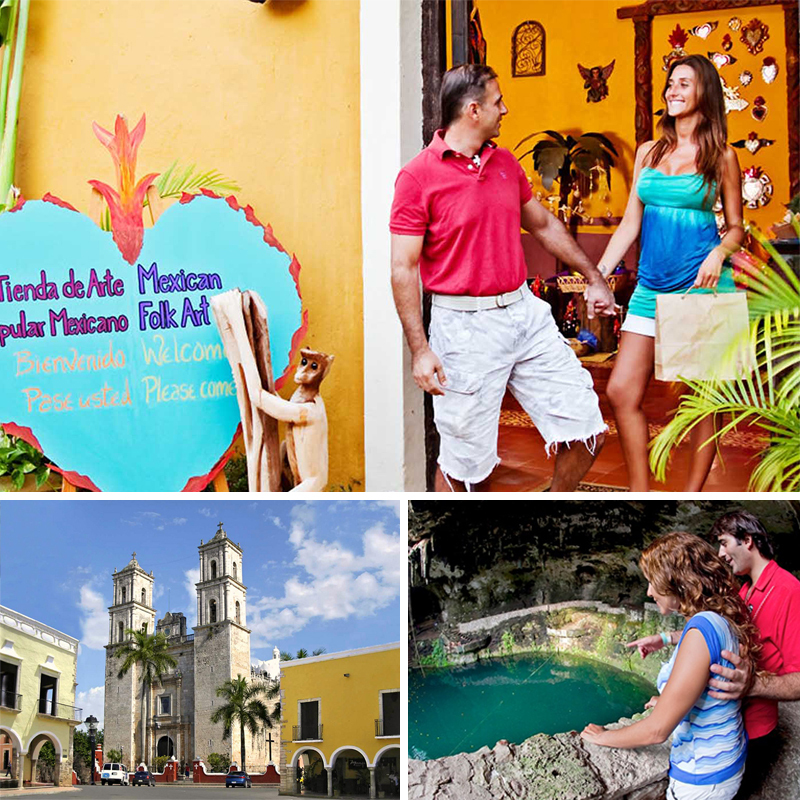 Valladolid is a beautiful colonial city and is currently one of the most important cities of the Yucatan Peninsula. 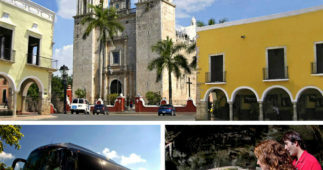 This place is full of history and has several places to visit like the Mayan Cenote, Downtown and San Gervasio Cathedral. 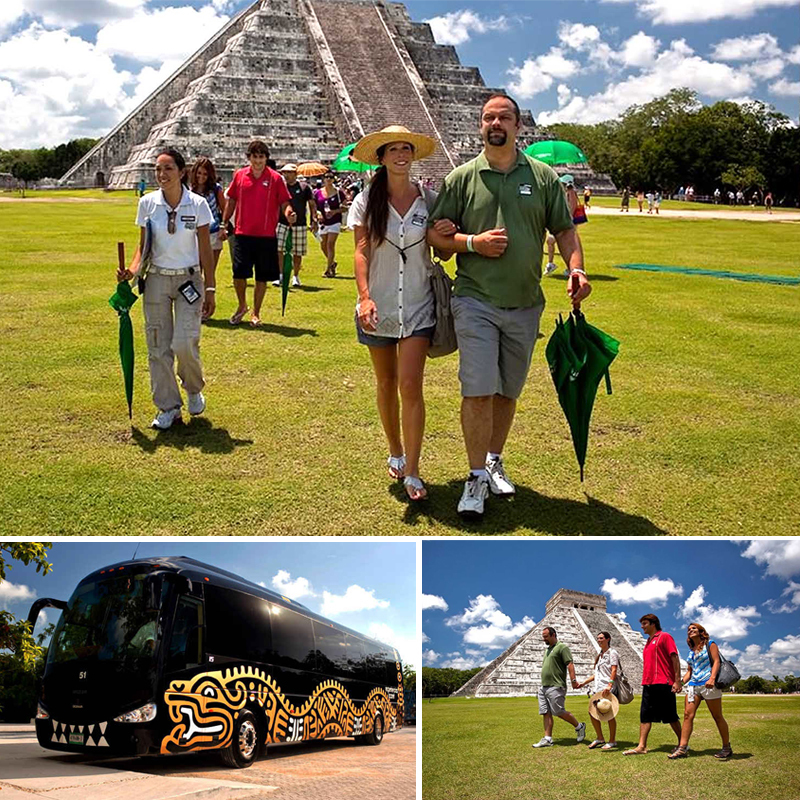 Your excursion begins with pick up at your hotel in the Riviera Maya or Cancun. Once you are onboard the deluxe bus, with comfortable seats, 2 restrooms, fridge, and air conditioner, you will be served a light breakfast by our tour conductors. 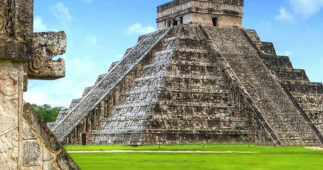 Your first stop will be at Chichen Itza, where you will be taken for a walking guided tour among these amazing buildings like the Kukulcan Pyramid, Great Ball Court, Temple of the Warriors, Sacred Cenote, Observatory, The Nunnery and the group of Thousand Columns, where your tour guide will provide you with all the information regarding to the Mayan Civilization. 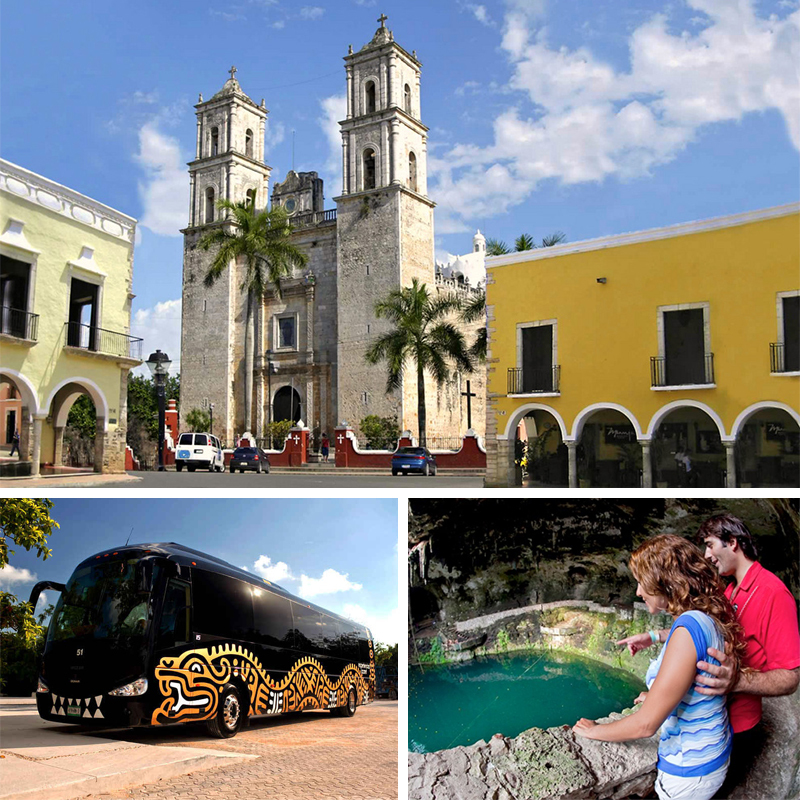 After the visit to the Mayan Ruins you will start your trip toward to the Colonial City of Valladolid, a place that is surrounded by some of the most picturesque, and captivating corners to visit, such as a Mayan Cenote, Downtown and San Gervasio Cathedral. This is the place where you will have the chance to delight yourself with the all inclusive lunch that you will be served at the Mayan restaurant, with some of the most exquisite cuisine of the Yucatan Peninsula, as well as some of the best Mexican and International Cuisine. Once you are ready, you will be taken to this stunning beautiful Cenote called Zaci, where you will have some free time to explore your self and see the handmade crafts of the local artisans, and after the Visit to the Cenote, you will start your trip back to Riviera Maya or Cancun. The bar onboard the bus will be open to you with soft drinks, beers, and water for a comfortable ride back to your hotel. 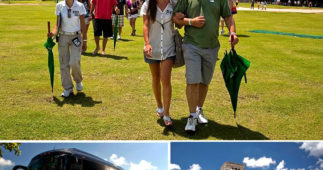 Transfer from your hotel in Cancun, Playa del Carmen or Riviera Maya. Round trip luxury transportation with air conditioning and bathrooms. Gourmet breakfast on board the bus (baguette, natural juice, muffin and coffee). 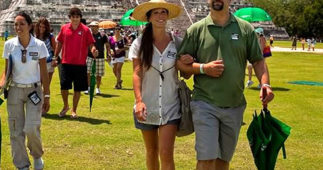 Tour in Chichén Itzá with certified bilingual guide (1.15 h approximately, 1 h of free time at archaeological area). Trilingual guide on Wednesday (Spanish, English and French). Soft drinks, water and beer at the end of the tour in Chichén Itzá archaeological site. Visit to Zací cenote in Valladolid (with no swimming activity). Buffet meal of Yucatan specialties and unlimited beverages at La Casona de Valladolid restaurant. 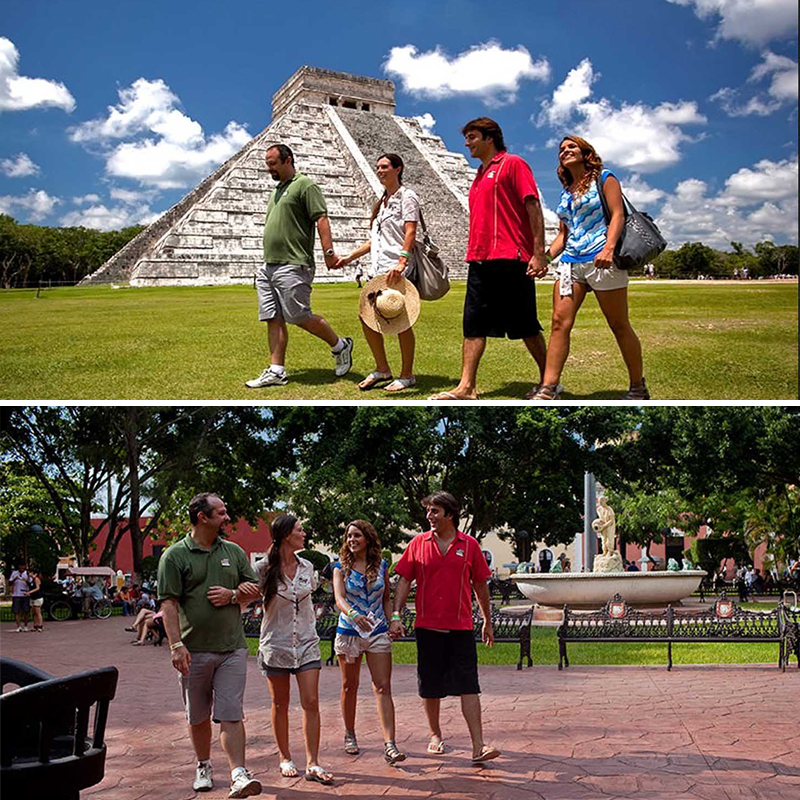 Round trip transportation from hotels in Cancun, Playa del Carmen and Riviera Maya. Panoramic bus with air conditioning and bathroom. A bottle of water at the archaeological site. 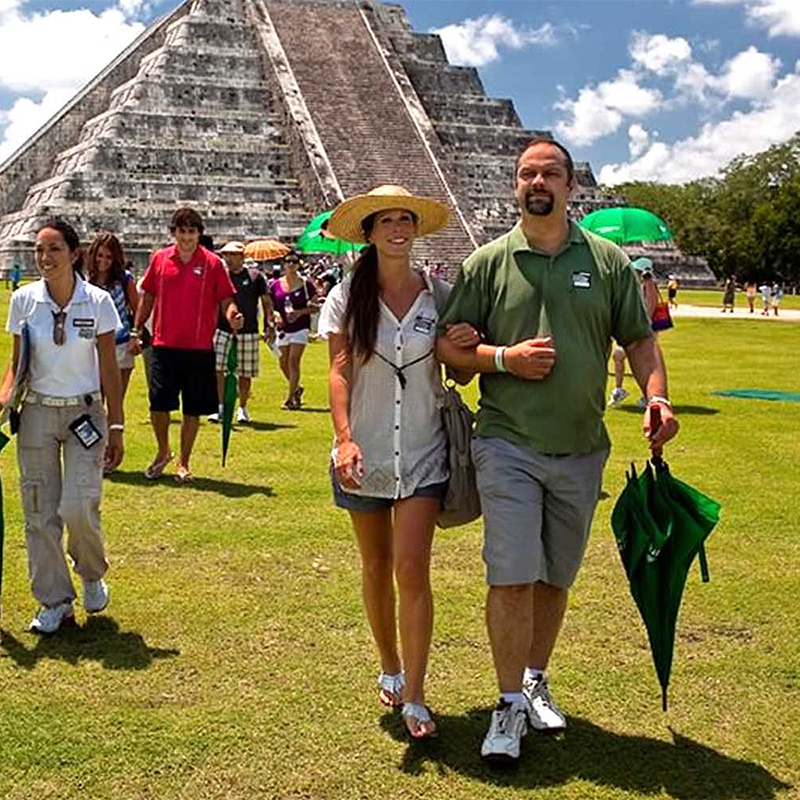 Access to Chichén Itzá archaeological site with bilingual certified guide. Visit to Sacred Cenote Azul at Ik Kil (45 min for swimming activity). Access to Sacred Cenote Azul facilities (lockers and lifejackets with extra cost). Buffet meal at Ik Kil restaurant (drinks with extra cost). The bus features restrooms and a compartment under bus to keep belongings safe.